If it could monetise its chutzpah, the current Greek government would be well on its way to solving the country’s economic problems. Effrontery, though, is not a tradable commodity and is no substitute for strategic planning and clear thinking. The absence of these two elements may lead to the depth of problems facing Greece growing that bit larger. 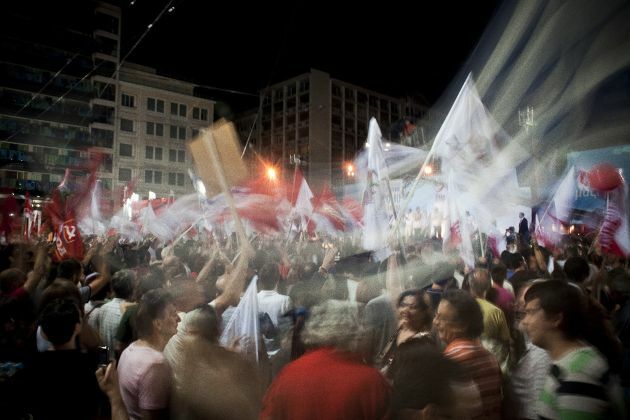 Speaking to the Wall Street Journal last week, Labour Minister Giorgos Katrougalos said that SYRIZA has not given up its goal of changing Europe, primarily through leading the charge – or perhaps, slow march – against austerity. There are probably three ways one could read this comment: as the product of barefaced cheek on the minister’s part, as epitomising how out of touch the government is with reality, or as an attempt by Katrougalos to justify to himself the implementation of policies that SYRIZA is ideologically opposed to. Believing, or attempting to convince others, that you are pioneers in a European revolution helps take the edge off having to cut pensions, raise taxes and allowing banks to sell non-performing loans to private funds. However, trying to fit SYRIZA’s somewhat niche story within a wider narrative has the serious drawback of making people oblivious to the details. This was exactly what undermined SYRIZA in the first place. Elected just over a year ago, the leftist party saw itself in the vanguard of the backlash against austerity in the eurozone, or southern Europe at least. The thinking went that, spurred on by the discontent in other countries, SYRIZA could get its foot in the door and then others could force their way in. Perhaps even major European powers like France and Italy might stand up to the German-centric ordoliberalism dominating policy in the single currency area. As a narrative, it made sense to a great extent. The nub, though, lay in the details: how would the new government go about making alliances, what kind of concessions would it be content with and what could be the maximum timeframe for this process to play out? For instance, SYRIZA may well have banked on the rise of Podemos in Spain and a possible return of the socialists in Portugal, but elections in those two countries were due towards the end of 2015. Greece, meanwhile, only had money left for a few months and the European Central Bank would never be in a position to keep the liquidity tap turned on indefinitely. Ignoring these details was the difference between possibly a small victory for SYRIZA and, most definitely, a mighty defeat. Twelve months on, it is those pesky details that threaten to undo Tsipras again. Having made his volte-face and agreed the bailout agreement he had pledged never to sign, Tsipras’s focus turned to winning the September elections. Thoughts of how his government would implement the deal, or what kind of pressures it would come under, were set aside. The truth is that the first two sets of bailout milestones were passed with relatively little fuss. The loss of two MPs was a blow but, given the difficulty of some of the measures, such as the sale of NPLs, it was a surprise there was not wider resistance within the government. But the real challenge would always come next: pension reform. The overhaul of the social security system is crucial for a number of reasons. Firstly, because it is not sustainable in its current state despite 11 rounds of cuts since the crisis started. Secondly, because it has repeatedly been tampered with, pensioners or would-be retirees are extremely sensitive to any attempts to make further changes. Thirdly, in the absence of a functioning, comprehensive welfare system, pensions are used to plug a lot of holes in Greek society: Granddad and Grandma provide the safety net for a large amount of families. These are all reasons for pension reform being a very complex and sensitive issue for Tsipras to deal with. However, there is a fourth reason that this particular matter is so decisive for what will happen next, and that is because it is the issue on which the relationship between Greece, the eurozone and the International Monetary Fund is balanced. The Europeans, or at least key players such as Germany, want the IMF on board the Greek programme because the fund is seen as a reform guarantor. It has both the technical capacity and the policy ideology that satisfies those who want to ensure Greece does not get an easy ride. The IMF, though, believes that Greece needs “significant” debt relief and has made this a condition of it remaining engaged. Greece wants the debt relief the IMF recommends but does not want the policies it advocates, which is one of the reasons that Tsipras and his ministers had recently claimed that the programme should progress without the Washington-based organisation. Aligning this Rubik’s cube of preferences is a near impossible task. It is made more complicated by the fact that the IMF sees cutting pension spending as the most reliable, perhaps only, way that Greece can reach its target of 3.5 percent of GDP primary surplus from 2018 onwards. This translates into a recurring reduction in expenditure on retirement pay of at least 3 percent of GDP. For the reasons mentioned above, the government wants to avoid slashing existing pensions, concentrating instead on producing cost savings from other interventions (such as lowering replacement rates), while also raising social security contributions. The plan put forward by the government, and currently being examined by the institutions, does not seem to provide the long-term savings that the IMF is looking for. If the eurozone accepts this, then the IMF will be looking for the Europeans to make up the difference through debt relief. It is doubtful whether there is the appetite for this kind of relief for Greece within the eurozone. The Greek government, meanwhile, will be loath to accept anything more drastic than what it has proposed. At last week’s Eurogroup, though, it was made clear to Finance Minister Euclid Tsakalotos that the IMF would have to be part of the programme, which is exactly what Greece signed up to last summer. This means that there is a real possibility of a Mexican standoff in the coming weeks, with Greece stuck in the middle and running out of money (sound familiar?). Maybe, though, the government will just dismiss this as another part of its long, slow march to change the balance of power in Europe. *This article appeared in last Friday's e-newsletter, which is available to subscribers. To find out more about subscriptions, please click here. You are suggesting that "the long and slow march" is Syriza related and that if we had another governing political party in Greece that the march would be "shorter and faster"? Which part of Greece no longer having an independent government don't you understand?